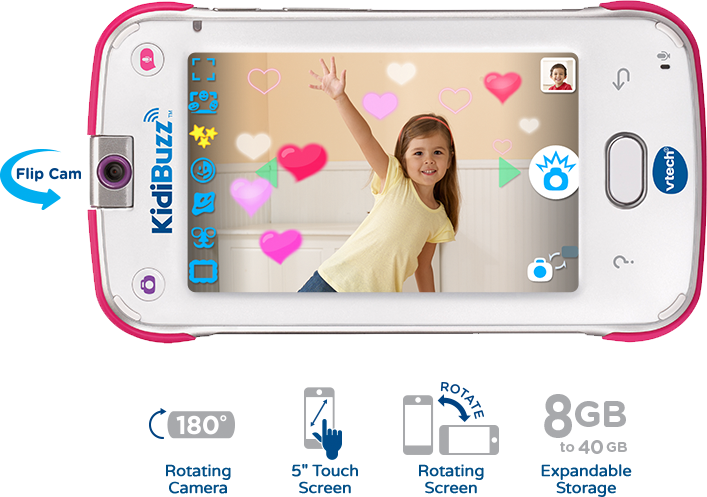 the Hand-Held Smart Device for Kids! Made for fun, and made for kids! 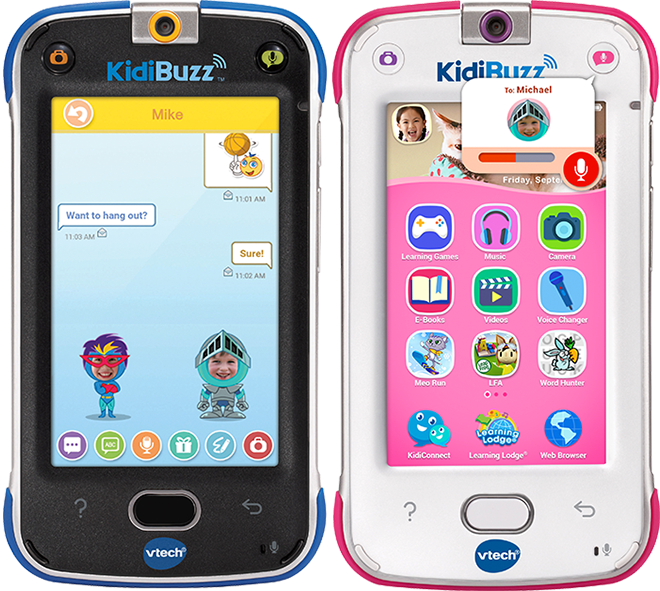 Send texts, voice messages, photos, drawings and animated stickers over Wi-Fi to a parent-approved contact list from iOS® and Android™ devices using our free KidiConnect™ app. 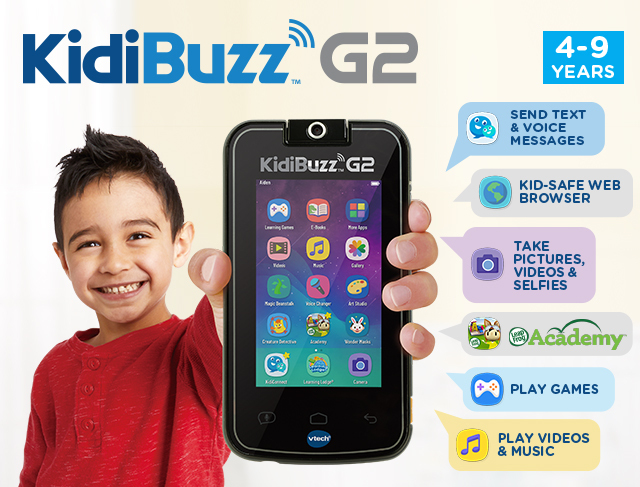 Give you child a safe way to enjoy the latest tech with KidiBuzz™. 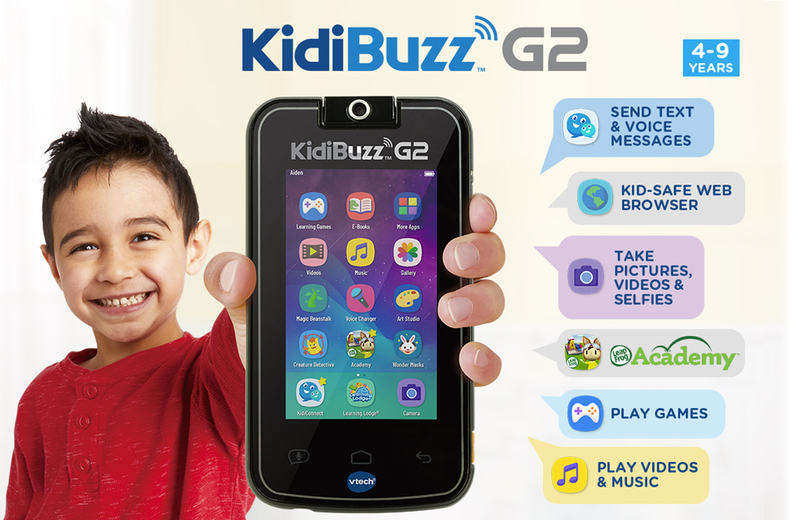 Similar to smartphones and tablets, KidiBuzz™ lets kids message friends and family, surf the web, watch videos and more in a protected environment. 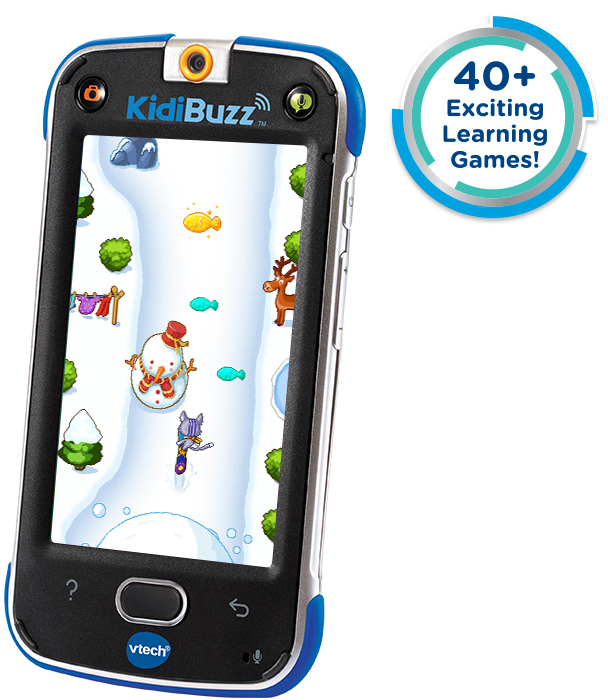 Check out some of the ways we've designed KidiBuzz™ to make it the perfect tech toy for kids. Use the 180 degree rotating camera to capture pictures and videos. Choose from more than 50 fun effects to enhance your pictures. Watch your favorite videos or listen to music using the multimedia player. 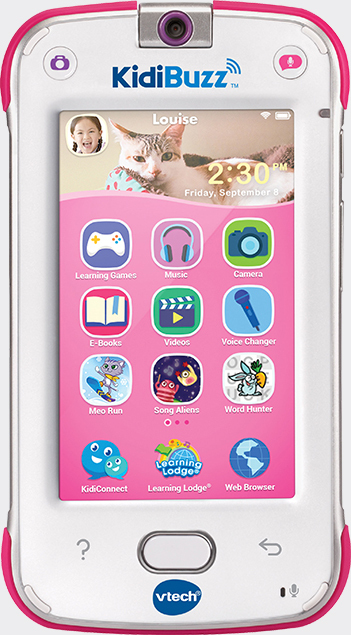 Includes interactive games that explore math, science and spelling with the ability to download more from Learning Lodge®. 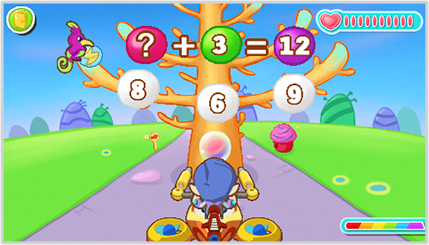 Plus, two free apps of your choice to download from Learning Lodge®! 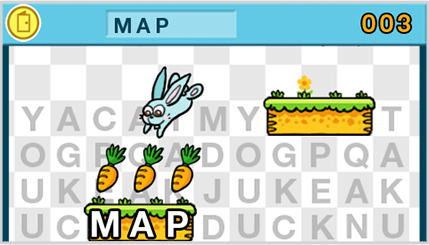 Shop Learning Lodge® to discover hundreds of downloads, including learning games, videos, e-Books, music and more! Wi-Fi connection required to download content. Each sold separately.